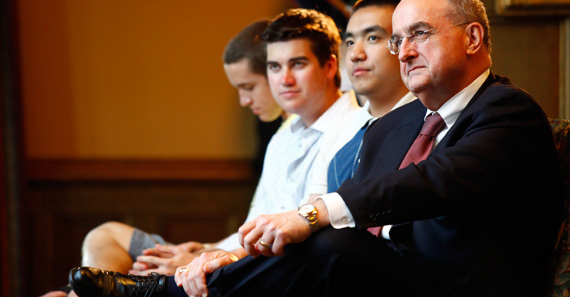 As president of Indiana's flagship university, President McRobbie spends much of his time sharing the “IU story” with faculty, staff, students, alumni, and others interested in the daily life of the university. With so much to tell, he appreciates the role the media plays in keeping the IU community informed about activities, events, initiatives, and issues related to his office and the university at large. Visit this page frequently for links to some of the latest news and opinion pieces about IU and President McRobbie, as well as an archive of past stories.